Beckman Coulter AC-T Diff 2 Hematology Blood Analyzer . New Life Scientific, Inc. 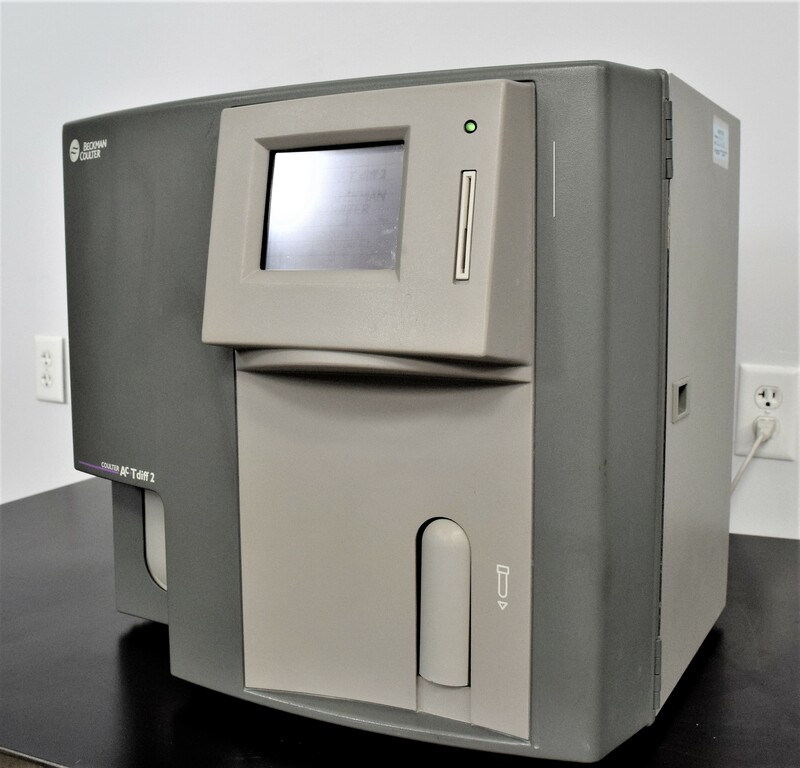 This Beckman Coulter AC-T Diff II Hematology Analyzer contains numerous high-quality, durable parts that have stood the test of time. All major components, with the exception of the vacuum pump and the circuit board, were verified to be functional by one of our in-house technicians. If you're looking for an affordable source of parts for your Diff II analyzer, look no further--this machine is just what you need. Our in-house technicians tested and inspected the Beckman Coulter AC-T Diff 2. The system will do a HGB error upon start up, which is due to no reagents being in use. Due to a problematic circuit board and vacuum pump, it was decided that this instrument should be sold for its parts.